Make an investment in helping every girl prepare for a lifetime of leadership, adventure, and success. Girl Scouts offers the best leadership development experience for girls. When girls succeed, so does society. 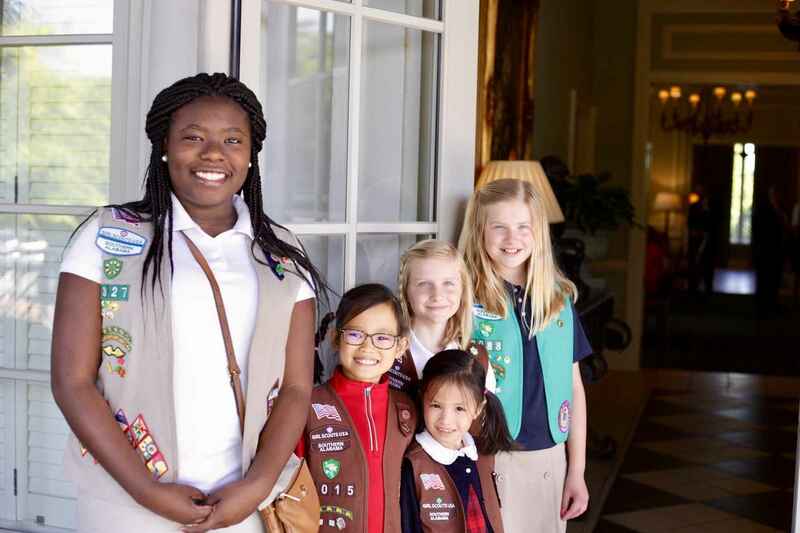 Last year, 7,000 Girl Scouts across 30 counties in Southern Alabama discovered their strengths, connected with others, and took action to make our world a better place. They explored interests from outdoor adventures to STEM to financial literacy, devoted thousands of hours of service to our community, and managed the business of selling hundreds of thousands boxes of cookies. From Massachusetts Brownie Troop 72122 towards Tornado Relief efforts. Every single day I can see the impact Girl Scouts had on me. I don't want to see anything stand in the way of a girl's access to this organization. This is honor of our daughter, Kate, who earned her Gold Award. The Girl Scouts was a large part of her childhood. I want to help support the girls and all the wonderful things they do all year! I donate in memory of Susan Deloney, long-time Troop 9327 Cookie Chair.